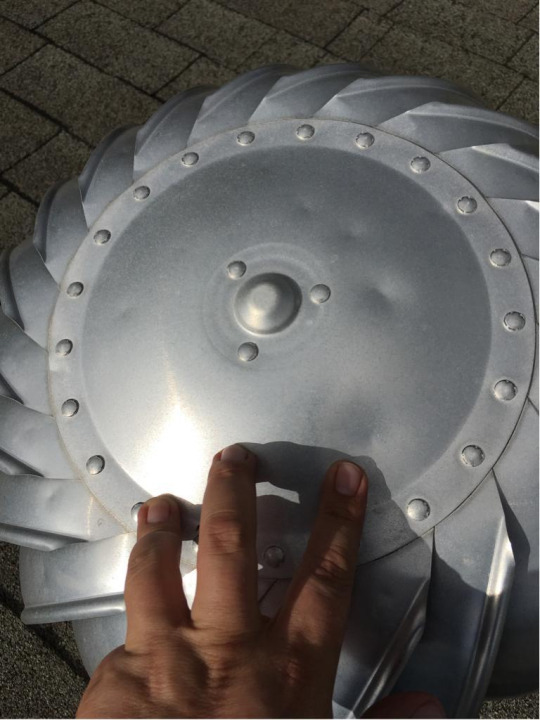 Some of you may have wondered what storm damage(such as wind or hail) looks like. When it comes to roofing there are many ways you, as a home owner, can identify storm damage and make the necessary steps to getting the insurance claim process started. The first, and most obvious type of storm damage, is wind. You may notice missing shingles which are likely noted from the ground without even placing foot on your roof. 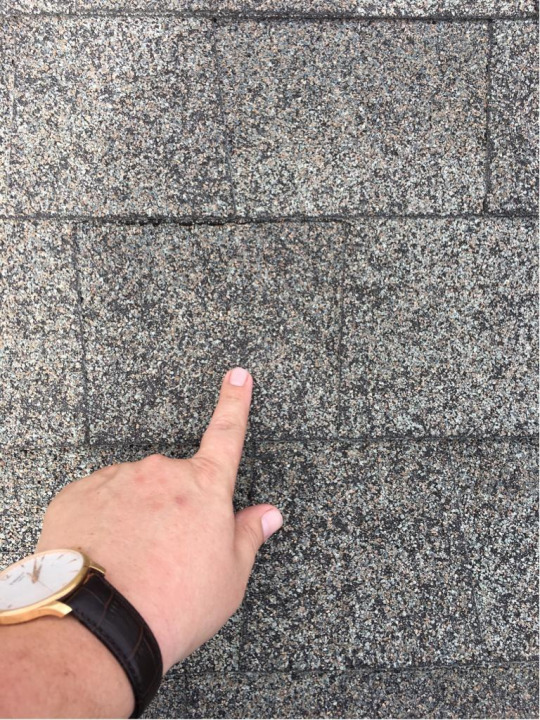 If you notice 3 or more missing shingles then you may have a solid claim to make with your insurance company, in order to get your roof replaced or repaired at minimal cost(your deductible, typically $500 or $1000). The second, and more difficult to identify is hail damage. 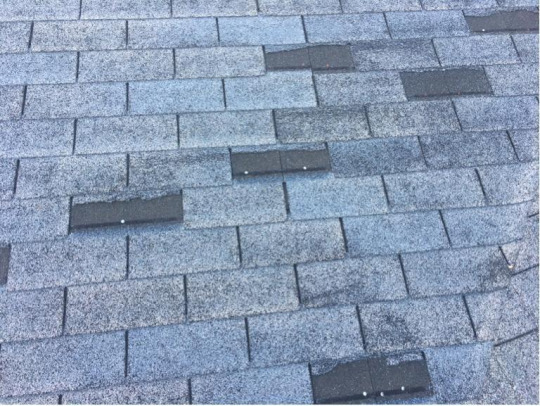 Hail damage looks like small indentations, or missing granules on the shingles, as well as dents on roof vents. You can likely feel the damage with your hands. If either of these types of damage are noted it is recommended that you call an experienced roofing contractor to help you through the insurance claim process. With REAL Contracting, we will meet with the adjuster with you or on your behalf and negotiate with your insurance company to ensure that you get the most “bang for you buck!” Your roof will come with both a workmanship warranty as well as a great 50 year manufacturer’s warranty through GAF. Being a GAF certified roofing contractor, we are able to offer you a warranty that only 6% of roofing contractors in the nation can offer! If you would like a free inspection to see if you may qualify for a new roof, give us a call today.